MidWest 30" Dog Crate Just $20.39! Down From $70! 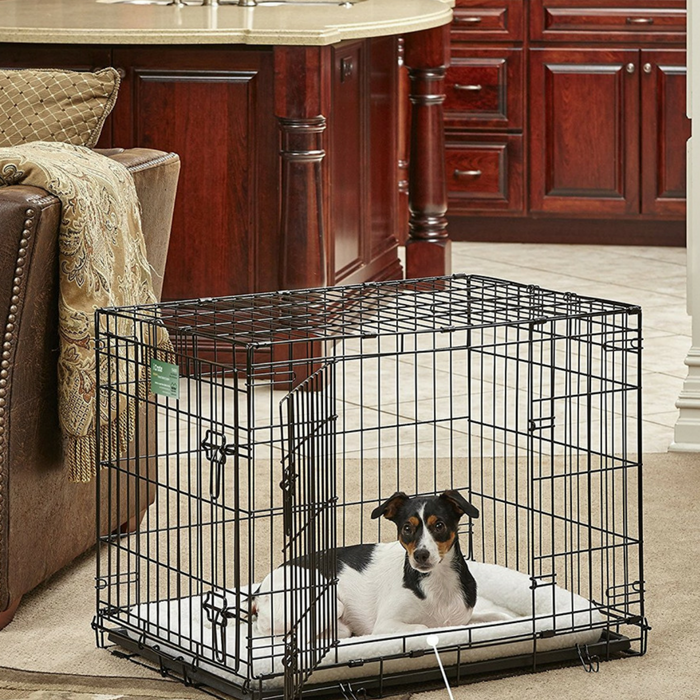 You are here: Home / Great Deals / Amazon Deals / MidWest 30″ Dog Crate Just $20.39! Down From $70! MidWest 30″ Dog Crate Just $20.39! Down From $70! At Amazon, you can score this MidWest 30″ Double Door Dog Crate for just $20.39 down from $69.99 PLUS FREE shipping with Amazon Prime or for orders $25 or more! Great price! The “all inclusive” Double Door iCrate, folding metal dog crate by MidWest Homes for Pets includes all of the features you will need to provide a convenient, safe and secure pet home for your best friend. This metal dog crate includes a free divider panel allowing you to adjust the size of the dog crate while your dog is still growing, a plastic leak-proof pan for easy clean-up in the event of an accident, a strong plastic carrying handle for easy portability and rubber “roller” feet on the bottom of the crate to protect your floors inside the home. MidWest iCrates also feature our patented side clips which reinforce the dog crate & reduce possible sharp points ensuring a safe experience for you and your pet.